The International Spirits Challenge (ISC) is organised by Agile Media Ltd, under licence from William Reed Business Media Ltd. The company address is Agile Media Ltd, Longley House, International Drive, Southgate Avenue, Crawley, West Sussex, RH10 6AQ, UK. By entering the ISC the entrant will be deemed to have read and understood these rules and be bound by them. These rules include any instructions set out with the ISC entry process. The ISC is open to anyone who produces, markets or sells spirits from any country, including distillers, producers, distributors, agents, pr agencies, independent retailers, retail chains, supermarkets and wholesalers. All spirits must be entered with the permission of the brand owners. All spirits entered must be commercially available for retail, and in sufficient quantities for it to be reasonable to expect them to be available until at least early 2020. No specially prepared samples will be accepted. Please adhere to the deadlines set out on this website. Late entries may not be accepted. Entries will only be accepted by either completing the full entry process online or completing and returning a paper entry form completed in full along with the payment of the appropriate entry fee. There is no limit to the number of products that may be submitted but each product is a separate entry and subject to a separate entry fee. Any entry form which is incomplete, late or illegible and which does not otherwise comply with these rules, will be deemed invalid. Each bottle sample you send must be fully supported with the correct documentation showing that UK Duty has either been paid, or is due to be paid under total duty suspension, before it is released onto the UK market. It is an offence under UK law to avoid payment of UK Duty on the samples you send to us for the ISC and it is your responsibility to pay any duties due. Entrants are responsible for all shipping costs. Please refer to the shipping instructions on our website and on your email confirmation. Entrants are responsible for UK Duty, Customs duty, taxes or other costs incurred on samples entering the UK. These are payable even though the samples are not for commercial use. Any costs that the organiser incurs in respect of the entry will be reinvoiced to the entrant and must be paid immediately. Entries may be cancelled up to 14 days after the original booking date by contacting isc@drinksint.com. After this date, entry fees are non refundable. Alternatively you may replace the product with another product at no additional cost. Duplicated entries will not be refunded. Please check that your agent or producer has not already entered the same spirit brand. Payment terms for invoices are strictly 15 days (or prior to judging if sooner). Please note that if payment or proof of payment is not received prior to judging then products will be removed from the competition. Agile Media Ltd takes no responsibility for the returning of any spirits received on this basis. The spirits will be blind tasted by an expert and independent panel of judges selected by the organiser. The judges will give the products a score accordingly. The score is intended as a guide for judges only in determining which medal should be awarded. Bronze, Silver and Gold medals will be awarded according to a consensus reached by the judging panel. The best of the best will be awarded Trophy medals. The Organiser reserves the right to move spirits into the appropriate category, if deemed to be incorrectly entered. The judges’ decision on all matters concerning the competition is final and legally binding. No correspondence will be entered into. The organisers reserve the right to alter the judging panel and categories without prior notice to entrants. In all respects, the agreed judging decision is final. Winners will be notified of results by email using contact details provided during the entry process. All results notified to winners are embargoed until the publishing date outlined in the notification email. 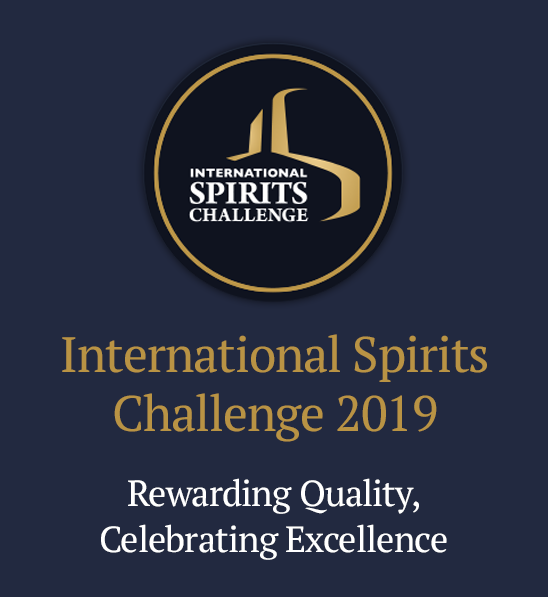 A list of medallists will appear in on www.internationalspiritschallenge.co.uk and in the International Spirits Challenge supplement once judging is complete. Product images may also be used. Should the entrant wish to withdraw the result from being published on www.internationalspiritschallenge.com or in the International Spirits Challenge supplement they must notify the ISC within the stated time period. Participants consent to their names and photographs being used in any competition publicity unless otherwise requested in writing. Any award winner may publicise its award provided the year in which it was won is stated. Those awarded medals may publicise their award in association with the relevant product provided the year in which it was won is stated. Those awarded are granted a non-exclusive, non-transferable license to use the International Spirits Challenge medal logo in connection with its own award for a period of 3 years from the date it is issued.